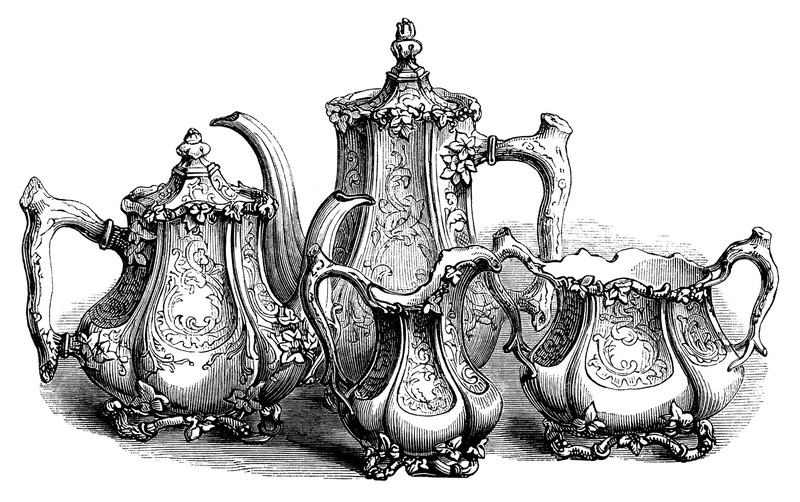 This lovely coffee and tea set engraving is from The Art Journal Illustrated Catalogue, published for the proprietors, by George Virtue in London, 1851. The ornamental set was a work of Broadhead & Atkin of Sheffield, manufacturers of silver and plated goods and includes: a coffeepot, teapot, cream jug and sugar basin. Click on image to enlarge.